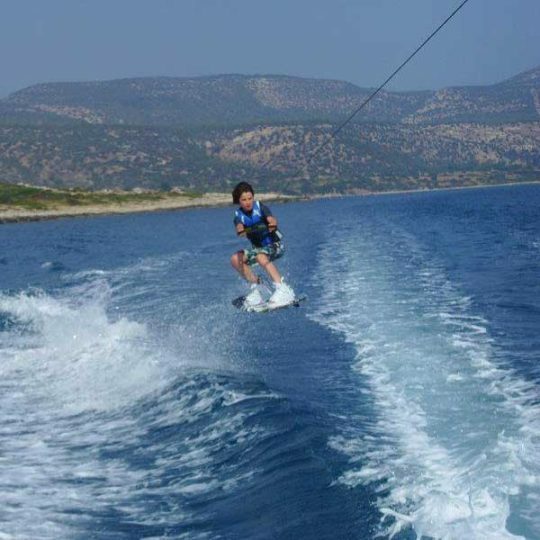 Our renound ski school has equipment ranging from waterskiing, wakeboarding, monoskiing, kneeboarding and wakeskating. Both ski boats are equipped with wakeboard towers. Lessons are available with the watersports experienced staff. Our instructors have more than 15 years of experience, and the ski boats are specially modified with training bars to aid beginners. We have a huge range of activities at Latchi Watersports Centre. You can enjoy watersports all through the year with us. Latchi Watersports offer lessons for sailing. This can be a one off lesson or a course spreading throughout your holiday. There are no age restrictions for this. The sailing instructor will be on board with you as long as you need, then present on a safety boat at all times when you’ve progressed to sailing alone. 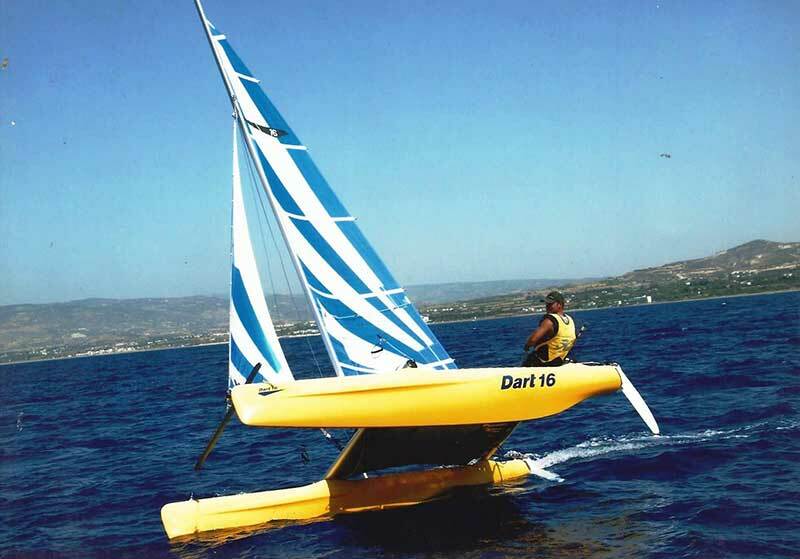 This includes three Laser Dart 16 Catamarans, two Laser Bahias, three Laser Funboats and two Laser Pico’s (Monohull). Handheld radios are available for longer periods of hire, and a safety boat is always on standby even for the more experienced sailors. Trapeze harnesses are also available for the larger catamarans. The boats all take up to three adults. 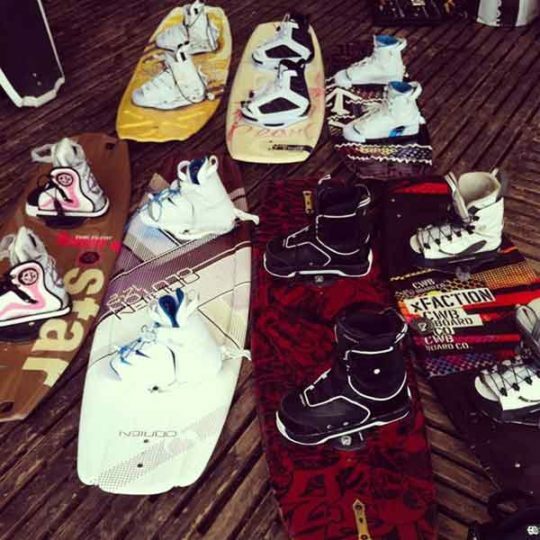 Latchi Watersports also have a range of windsurf equipment, with sail sizes from 3m for youngsters and training right up to 6m for more advanced adults. Boards range from wide style boards for beginners to semi-sinking boards for more advanced water starters. Harnesses are also available. The watersports also offer lessons for windsurfing. This involves the instructor being beside you on a safety boat at all times whilst training. We can provide instruction and training for RYA Sailing Courses; in Dinghy and Multihull, RYA Advanced Sailing Courses; Including Seamanship Skills, Day Sailing, Sailing with Spinnakers and Performance Sailing. We also offer RYA Youth Sailing Courses; Stages One to Four.